Inspired by my parents to play music, I started playing around ten and loved it. 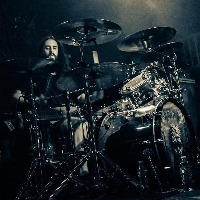 I got into Metal at a young age and started working towards that and fast drumming. Putting it as my #1 thing to do I ended up getting touring and drum session studio gigs. Happy to be a part of this great roster of artists!